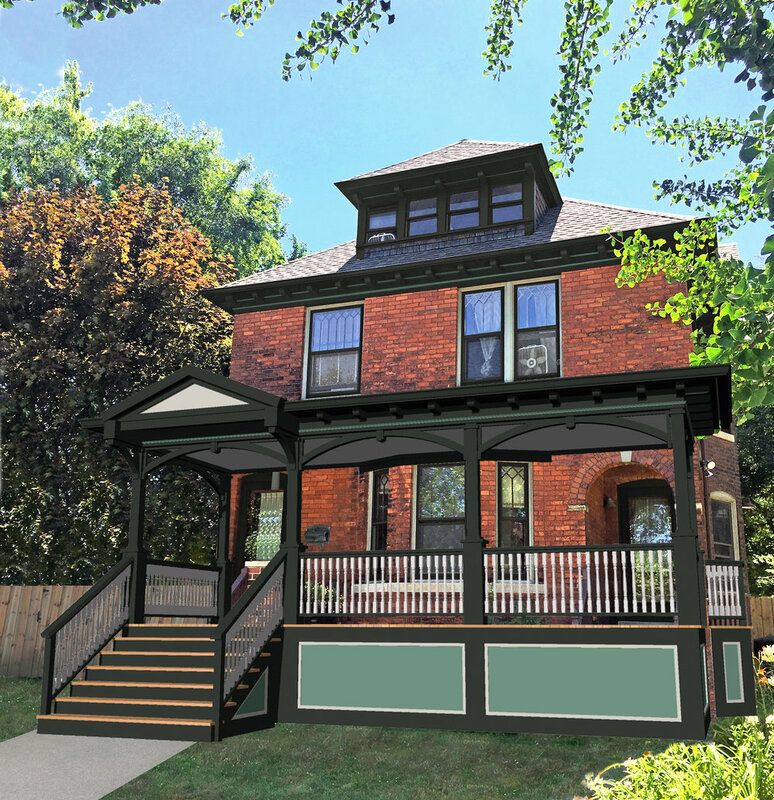 Design of a new front porch and back deck for a house in historic Woodbridge Farms, Detroit. The design works to add a defining feature to the front facade, balancing Victorian-inspired detailing with a contemporary flair. In progress - updates coming soon!